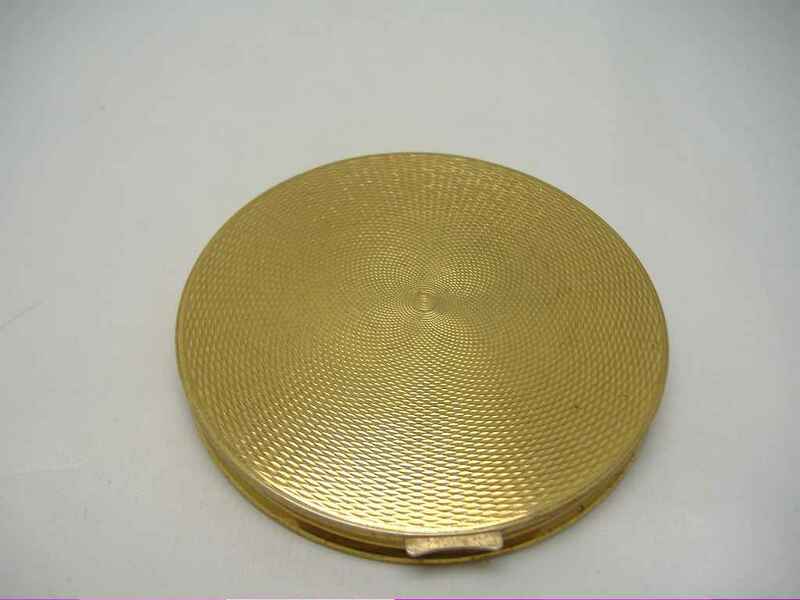 We are pleased to offer this stunning vintage 1950s Mascot round goldtone compact with a sparkling gold brocade over lucite covering. 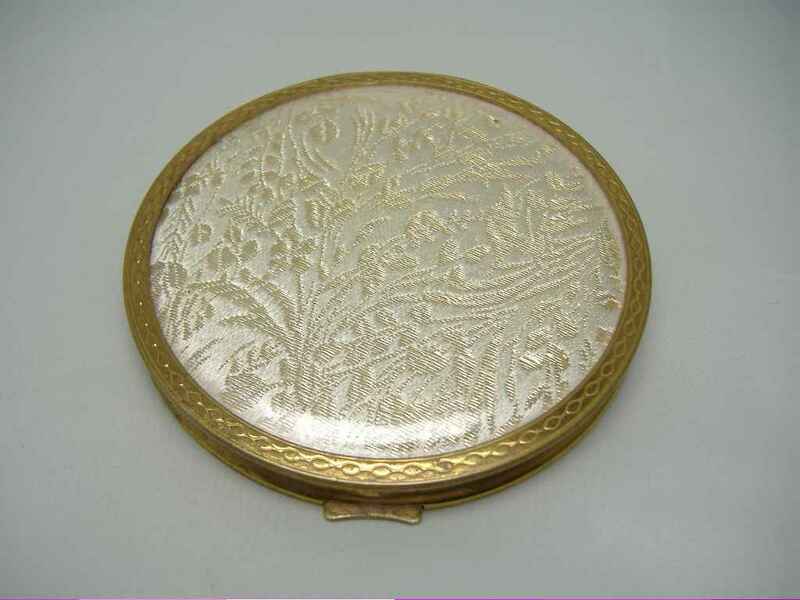 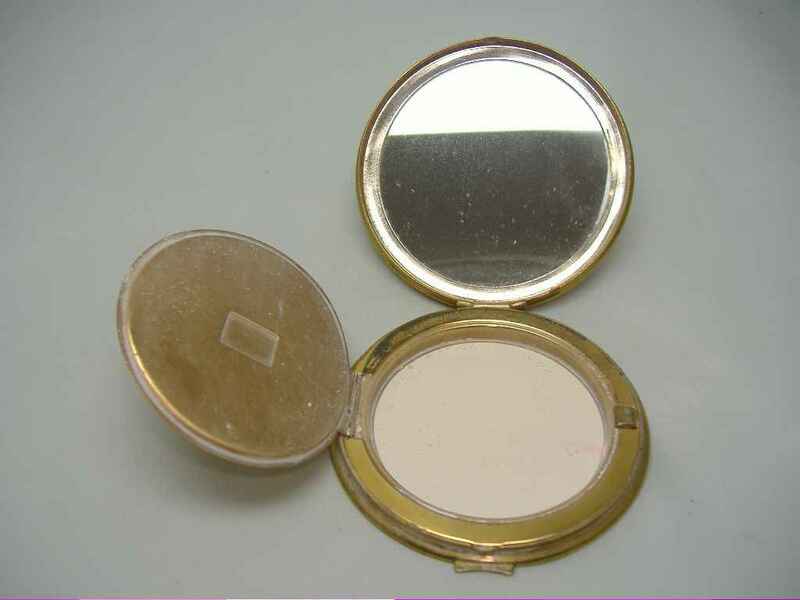 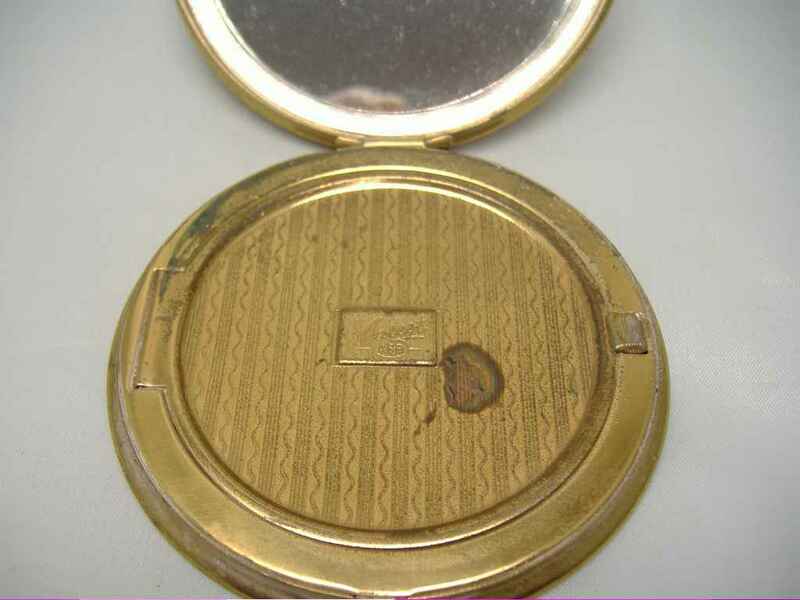 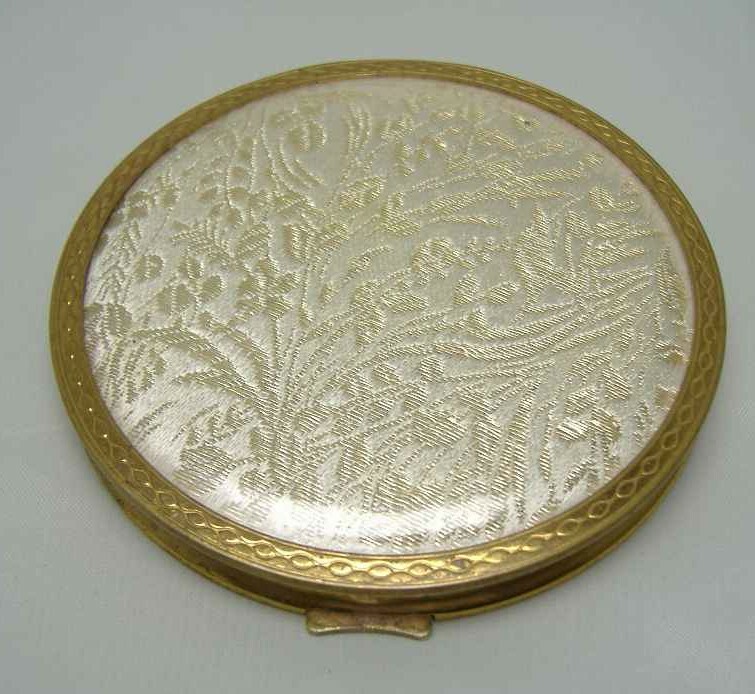 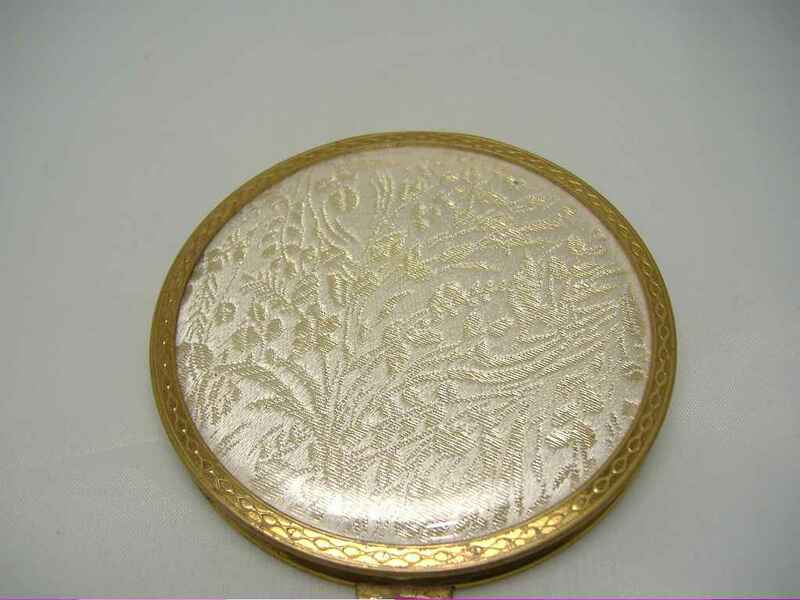 As you can see from the photos, this is a lovely vintage compact which is in very good condition. 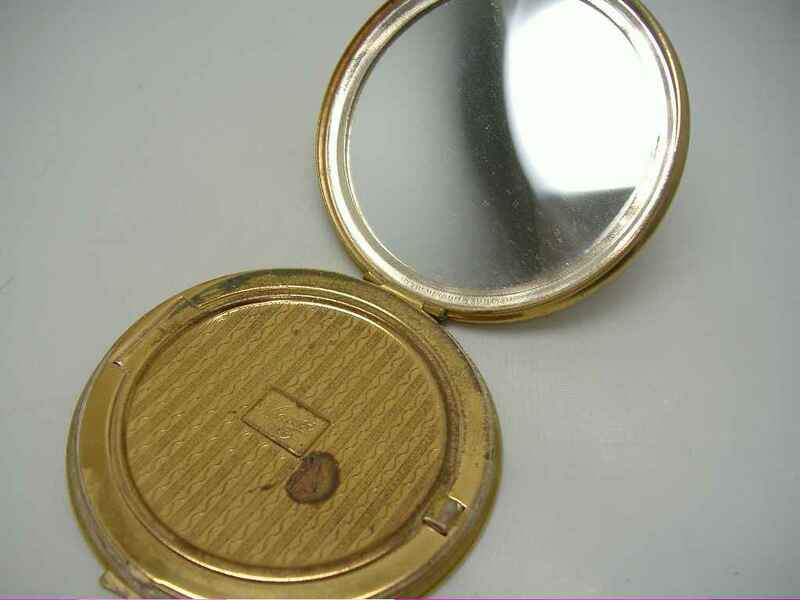 Mirror is in very good condition, no foxing or marks on it, a little mark on the inside as shown but apart from that in great condition.